IDF Spokesperson Ronen Manelis said the rocket was fired from a Hamas launchpad in the southern Gaza town of Rafah. He did not respond to claims made by the terror group via the Egyptian military that the projectile was launched accidentally. 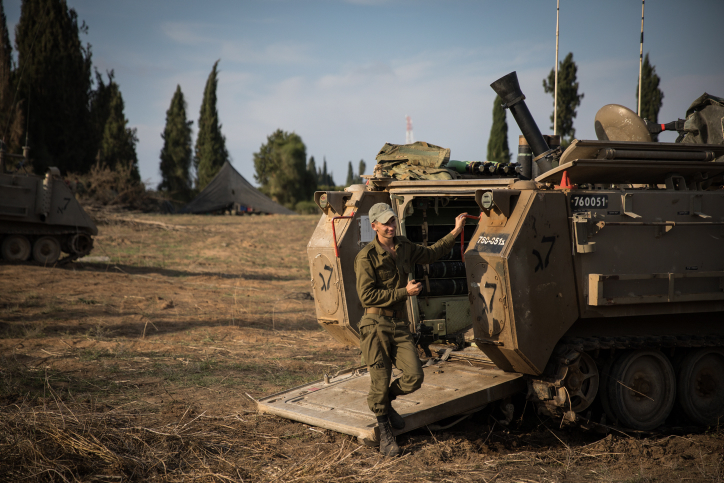 The two brigades — one infantry and the other armored — had been conducting training exercises, which were cut short in light of the rocket attack. The Hamas terror group told an Egyptian military intelligence delegation that the rocket had been fired accidentally — though Israeli officials reportedly scoffed at this version of events. They were taken to Kfar Saba’s Meir Medical Center for treatment. Several others in the area were treated for anxiety attacks and light injuries from falling while running to bomb shelters. This entry was posted on March 25, 2019 at 12:46 PM and is filed under Uncategorized. You can subscribe via RSS 2.0 feed to this post's comments. You can skip to the end and leave a response. Pinging is currently not allowed. I think BB will show some serious force this time, elections are coming up .